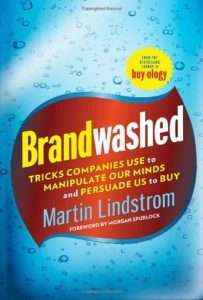 “Brandwashed” is my least favorite book in the last few years. I was only able to make it a few chapters in. Most of the content I made it through falls into the expected. An example that epitomizes this is the revelation that shampoo companies add foaming agents to their product because bubbles evoke feelings of cleanliness. Did you need this book to realize this? I had high hopes for this book. I highly recommend “Buy-o-logy” by the same author. By contrast “Buy-o-logy” offers breakthrough research using fMRIs to reveal the inner patterns that lead to purchases. Summary: Brandwashed read more like a witch hunt filled with obvious tales than captivating book.